Julius Cedarprovides a range of products and services to get you started on your exterior projects in the Saskatoon area. Our wood and lumber materials are of the highest quality to ensure your completed projects not only look professionally finished, but will be strong and durable as well. We carry a variety of different fence panels to fit the characteristics of your home’s exterior look. 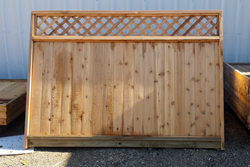 Our fence paneling is manufactured with beautiful cedar and other wood materials for a unique style with quality build. Your new fencing system with our panels can be used for large or small scale projects, as well as privacy and aesthetic purposes. Cedar siding looks great, and holds up in the toughest of Saskatoon conditions. We ensure our exterior materials are finished with the proper coating to add an extra layer of protection to the natural siding products. Our finished cedar and wood siding is guaranteed to protect your home from the elements while upholding a traditional, welcoming appearance. 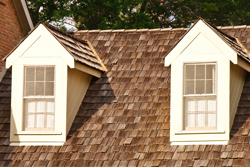 Cedar shingles have a more streamlined appearance that suits classic homes and provide ultimate coverage for your roof. 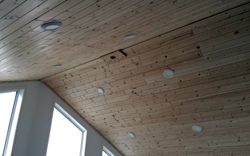 These are manufactured and installed more precisely, which allows the shingling to lie completely flat and regular. On the other hand, cedar shakes are created and used in more rustic environments. These are manufactured to be thicker than shingles, and we machine split our shakes for the traditional look of original shakes. We may mill our shakes differently from our shingles, but both options from Julius Cedar deliver the functional results you are looking for. Gazebos provide an essential outdoor space for relaxing during warmer seasons. Julius Cedar carries cedar wood to efficiently construct gazebos, as well as other outdoor structures such as pergolas or decks. We provide pieces for the railings, platform, ceiling, and steps. 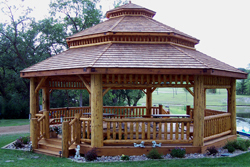 Your ornamental structure will provide plenty of shade and shelter with our exceptional cedar lumber that is perfect for construction! 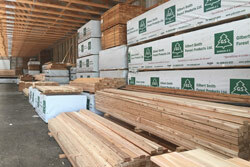 Julius Cedar carries a range of dimensional lumber for any of your construction and structuring needs. 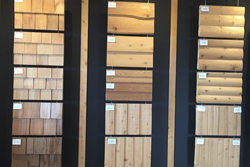 We offer pre-defined sizes of cedar and wood, all ready for you to bring home and begin working with. Our standardized dimensional lumber provides quality and convenience that cannot be matched. The tongue and groove v-joints we offer at Julius Cedar are essential solutions for siding, floors, decking, and any other project you can think of. We carefully cut each piece of cedar to ensure all of our materials are form fitting and ready to be applied to your next project at home. Better yet, you don’t need to use glue or nails to get the job done. Julius Cedar offers gate and fencing accessories for homes and businesses in the Saskatoon area. This includes gate cane bolts, handles, hinges, and hardware kits, along with latches and side bolts. Anti-climb spike strips are also available to deter animals from climbing up and down your fence. We offer accessories for wood, and specialty pet fences. These include post brackets, weave rolls, slats, black gate springs, tensioners, hook and eye, t-post clips, and more. 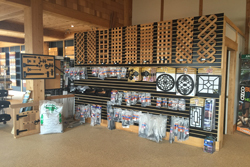 Get what you need to complete your gate and fencing system. 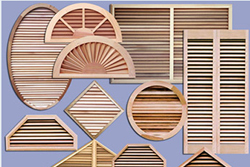 We also have several gable vents to choose from and decorative shutters are also available. There are several styles such as flat panel, raised panel, louver, and open board and batten. These are designed to match any home’s exterior along with your personal style preferences. Find the perfect shutter design to complement your home’s windows and siding. Julius Cedar also provides several types of wood finishes, including varnishes, stains, dye, wax, and oil. We also use wood preserver to ensure there is no rot or damage to the wood surface. We have finishes for interior and exterior surfaces, ranging from siding to deck boards. From a natural, nearly clear finish to a deep brown and anything in between, we have the stain products to meet your needs. These stains can easily be applied even by someone with no experience with these types of products. 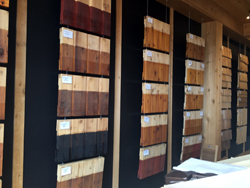 Contact us or stop in to see our wide range of stain colors to choose from.